New product. 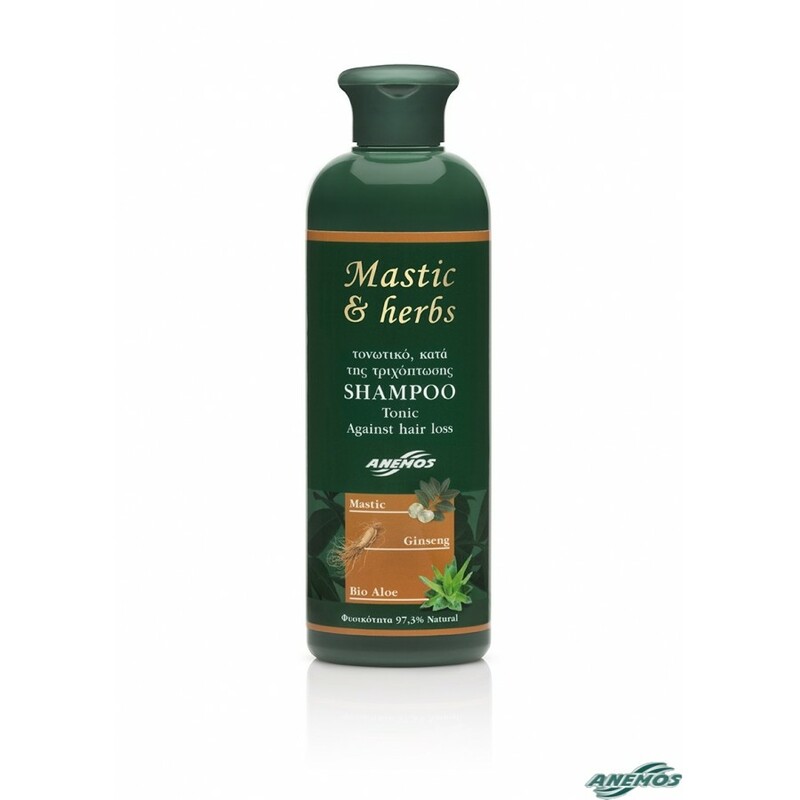 Fine shampoo with mastic and bio: Aloe, Olive oil. 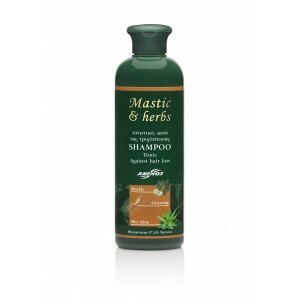 Shampoo specially formulated for oily (greasy) hair, oily scalp and dandruff. Mastic oil and the active ingredients help to reduce the amount of oil your skin is producing and cleans your hair and scalp drastically but gently. The hair becomes strong, silky, squeaky clean and healthy. Natural anti dandruff shampoo for oily hair with organically grown Aloe. Shampoo with ingredients which are 97,5% of natural origin! Ingredients: Aqua (Water), Sodium Lauroyl Sarcosinate, Cocamidopropyl Betaine, Caprylyl/Capryl Glucoside, Sodium Coco-Sulfate, Sodium Cocoamphoacetate, Glycerin, Panthenol, Lauryl Glucoside, Panax Ginseng Root Extract, Bambusa Vulgaris Leaf/Stem Extract, Olea Europaea (Olive*) Fruit Oil, Aloe* Barbadensis Leaf Juice Powder, Pistacia Lentiscus (Mastic) Gum Oil, Hydrolyzed Wheat Protein, Citric Acid, Glyceryl Oleate, Coco-Glucoside, PEG-12 Dimethicone, Parfum (Fragrance)**, Disodium Cocoyl Glutamate, Butylene Glycol, Sodium Lauryl Glucose Carboxylate, Potassium Sorbate, Guar Hydroxypropyltrimonium Chloride, Tetrasodium Glutamate Diacetate, Sodium Benzoate, Benzoic Acid.